These are lyrics by Cypress Hill that we think are kind of repetitive. 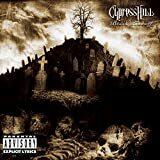 Cypress Hill's, "What's Your Number?" I have a good job at my Mom and Dad's law firm. 'Offer' and 'firm' don't rhyme, even though it sounds close enough.